Every business, regardless of industry, wants engaged and happy customers. In fact, in the financial services sector, customers who are fully engaged bring 37% more annual revenue to their primary bank than those who are actively disengaged. There are direct benefits for financial service institutions with fully engaged customers. It is important to understand the quality of your customer engagement efforts so your business can improve the customer experience, and drive revenue. 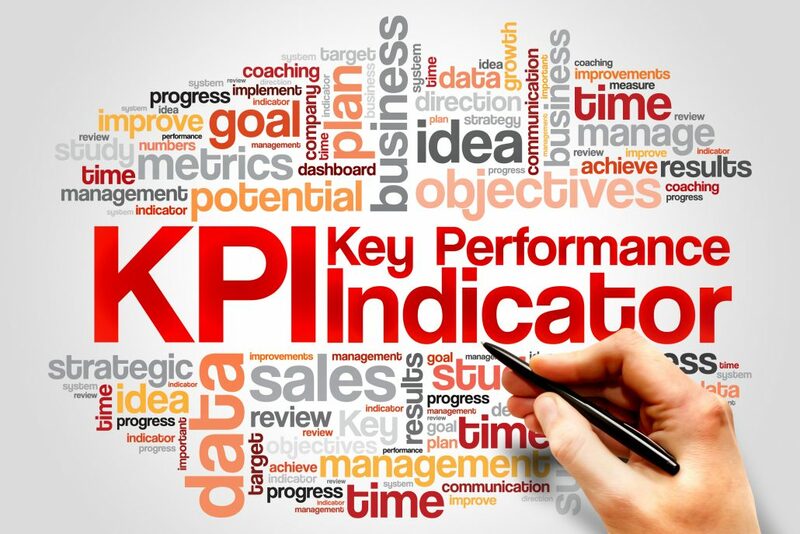 These six key performance indicators (KPIs) are essential for understanding the quality of your customer experience. Net Promoter Score (NPS) is a number that represents the general sentiment surrounding your brand. Consumers are broken into three categories depending on how they view your brand: promoters, passives, and detractors. Promoters are evangelists of your products or services. They use several of your products or services and share how great your services are with their network. Detractors are not fans of your brand or what you offer. They are not likely to do business with you again, and at worst, they might damage your reputation through negative reviews. Passives fall somewhere in the middle, they are somewhat satisfied but are willing to switch to a competitor if given an opportunity. To determine sentiment, you will need to ask your customers how they feel. Do this either through surveys, or a “Voice of the Customer” program. Understanding the concerns of your customers, whether they be promoters or detractors, can help you bridge the gap between your services and customer expectations. Bridging that gap will help you improve the quality of your customer experience. NPS is calculated by subtracting the percentage of brand detractors from the percentage of brand promoters. The higher your NPS is, the better you are doing. Conversion Rate is a percentage of converted leads. It’s a relatively straightforward metric that demonstrates the effectiveness of your sales funnel. The conversion rate is measured by dividing the number of conversions by the total number of leads for the same period. A buyer’s journey with high friction will lead to a low conversion rate. Conversion rate can be used to measure the quality of the pre-sales portion of the customer journey. Conversion Rate should be monitored and recorded through every reporting period as it can highlight areas of high-friction in the buyer’s journey. Your goal should be to find and eliminate those points of friction. A short sales funnel that gets a customer from lead to sale quickly and smoothly will yield a high conversion rate. A low conversion rate could mean your sales funnel has points of friction that prevent a conversion. Find those friction points, eliminate them, and you make the customer experience an easier one while improving your conversion rate. Conversion rates vary between industries. Use a benchmark that is relevant for your business. In financial services, conversion rates can be quite low, with many visitors never making contact. In other situations, such as an app on the Google Play store, conversion rates are as high as 30%. A general rule to follow is: the more expensive the purchase is, the lower the conversion rate will be. The time somebody spends on your digital property (website, portal, app, etc.) is an excellent indication of the quality of customer experience. A well-designed digital property will provide the audience with content to interact with, which keeps them on the site longer. This is important because the more time a prospect spends interacting with your website, the more likely they are to make a purchase. An extended amount of time spent on your digital properties, coupled with a high number of page views is an indication that you have engaging, informative content and you’re doing a good job managing your digital properties. Time on the website should not be examined on its own, but always viewed in the context of your overall engagement strategy. Time on site needs to be analyzed alongside page views and click-through rate to avoid scenarios where the tab was left open, but the customer is not interacting with it. As with all KPI’s of customer engagement, it needs to be viewed in a broader context. Customer lifetime value (CLV) is a metric that assesses the total financial value of each customer. CLV is an important metric in financial services because of how wealth grows. Instead of making one-off purchases, customers in financial services entrust professionals to manage and grow their wealth over the course of years. That means a customer’s lifetime value is highly correlated to how long they remain loyal customers. In other industries, such as aviation, one big purchase can yield the entirety of a customer’s CLV. In financial services, CLV is often grown through recurring management fees and successful growth of the customer’s assets. For that reason, it is an excellent long-term indicator of customer experience. CLV is an even better indicator of your customer experience quality if it’s viewed as a progression over time. 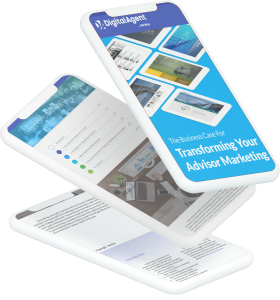 If the average CLV is growing over time, it is a good indication that you provide a high-quality experience and clients want to keep doing business with you. If your CLV is shrinking, something might be amiss. Engaged customers spend more money and are loyal to a business over time. For those reasons, Customer Lifetime Value might be the purest indicator of the long-term quality of your customer experience. Customer Effort Score (CES) is a metric that represents how much effort your customers have to expend to proceed through the buyer’s journey. A low effort score means it’s easy for your customers to accomplish tasks and get information. Frictionless service generates a low CES, which in turn creates loyal customers. To determine CES, organizations are looking at data across multiple channels, from in-branch interactions to social postings, to determine just how difficult it is for customers to interact with your brand. Of course, various points of the journey will have varying scores. Therefore, it is possible to have very low scores in some parts of your journey and very high scores in other parts. In any case, it’s important to determine the level of friction in various sales and marketing channels. CES should be used to determine how much friction there is over the course of the buyer’s journey. A high CES can explain low customer acquisition rates and high amounts of customer churn. Your goal should be to have the lowest CES possible, meaning prospects moving through your buyer’s journey face an easy and painless process. Bounce rate is the percentage of visitors to your website who navigate away without clicking on anything. A high bounce rate means that more people are not interested in the content on the page. Bounce rate is an important metric to analyze because it shows the percentage of visitors who show a lack of interest in your website. There are a few factors that may contribute to a higher bounce rate, but regardless of the cause, you do not want visitors bouncing from your site. One explanation for a high bounce rate would be a lack of content on the website. If nothing is interesting to click (or nothing at all), many visitors will try to find their information elsewhere. That likely means they will go to a competitors website. Another explanation for a high bounce rate could be a poorly designed website. If the visitor cannot determine how to navigate through your site, and as a result, they will leave. A high bounce rate means you are not engaging visitors, and changes need to be made to your digital properties. Many metrics can be used as performance indicators that speak to the quality of your customer experience. You should use a combination of metrics to gauge the success of your customer experience initiatives. No one metric is “bulletproof,” they all have their strengths and weaknesses. Therefore, metrics need to be tailored to a specific business activity. For example, some metrics are purely for digital channels; others are designed specifically for one platform. Other KPIs can be applied across an entire omnichannel experience. It’s up to you to decide which ones are most relevant for your business and track those metrics accordingly. Monitoring KPIs should be done to gain an understanding of how your customers perceive their experience. Above all, you should use the information to determine how you can improve your customer experience. What do you think the most useful KPIs of customer experience are? Let us know on Twitter @VeridayHQ and follow us on LinkedIn! As always, thank you for reading, have a great day! In a previous post: Metrics to Measure Online Success we looked at performance indicators that measure online engagement.